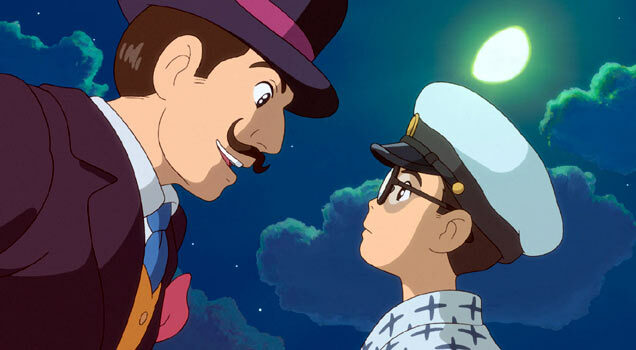 If ‘The Wind Rises’ is really to be Hayao Miyazaki’s last feature, then he certainly departs the medium at a good moment, receiveing critical acclaim for his historical drama, which also achivieved commercial success by being Japan’s highest grossing film of 2013. 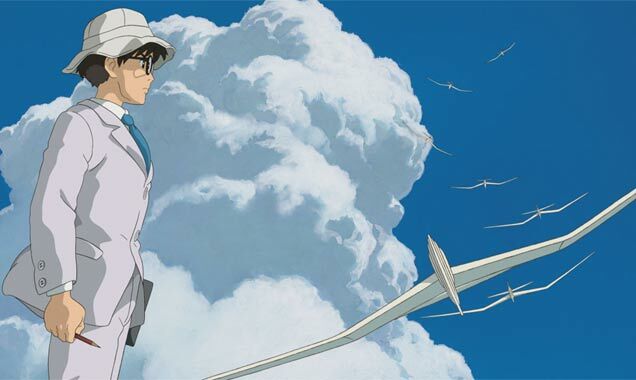 Admist the backdrop of 1927 Japan, ‘The Wind Rises’ follows Jiro, who wants to take to the sky in beautiful planes of his own design - inspired by the famous Italian aeronautical designer Caproni. For Jiro, aeroplanes aren’t intended for war or for profit, but to help realise the dreams of many; to soar above the clouds. 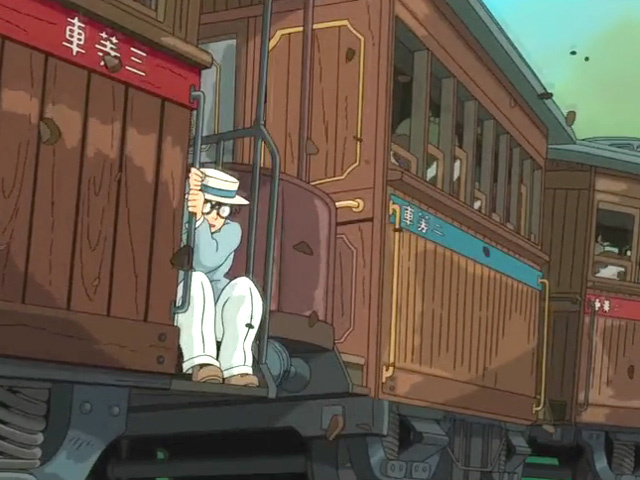 For what he has said will be his final film, animation maestro Hayao Miyazaki tackles a controversial biopic that could just as easily have been shot in live action. It's as if he's challenging filmmakers to use their imaginations and make the best movies they can make in whatever way they can. And the result is utterly magical, transcending the touchy subject matter to tell a story about the purity of creativity. Based on the life of aviation engineer Jiro Horikoshi, this Oscar-nominated film opens in the 1920s when young Jiro (voiced by Joseph Gordon-Levitt in the English version) decides to study aeronautics because his poor eyesight won't let him become a pilot. So he dreams of designing the perfect plane, and his inventive approach catches the attention of Mitsubishi, which assigns him to a secret military project working with Japan's allies in Nazi Germany. Meanwhile, Jiro meets Nahoko (Emily Blunt) and they fall for each other as she struggles to recover from tuberculosis and he grapples with the moral issues of designing a beautiful plane that will be used to kill people in wartime. Clearly this isn't the kind of animated movie Hollywood would ever produce: it's packed with complex characters who don't always do the right thing, and it takes a perspective that requires sympathy with someone who could be considered a historical villain. But Miyazaki tells the story exquisitely, animating the scenes with such inventiveness that it's impossible not to get lost in the breathtaking imagery. Scenes are also packed with lively side characters, including Jiro's bulldog-like boss (Martin Short), a more grounded colleague (John Krazinski) and a suspicious foreigner (Werner Herzog) who seems to be following Jiro. Jiro Horikoshi is an aeronautical engineer whose childhood was filled with dreams about becoming a pilot. His poor vision meant that he would never realise his ambition, but he is encouraged to keep up his passion by Italian plane designer Caproni. Resolving to design aircrafts instead of fly them, Jiro studies the art at university, during which time he meets an attractive young woman named Naoko. Their relationship was born out of the dangerous circumstances of the Great Kanto Earthquake, throughout which they helped one another off a fast moving train. As their life together progresses, Naoko falls ill and Jiro struggles to bring in a regular income. He must succeed in the challenge of building the most exquisitely beautiful aeroplane in the world in order to get back on his feet, as his career could be the only thing he has left. 'The Wind Rises' is romantic, heart-wrenching animated adventure directed and written by the Oscar winning Hayao Miyazaki ('Spirited Away', 'Princess Mononoke', 'Howl's Moving Castle'). This Japanese drama, loosely based on Tatsuo Hori's 1936 short story 'The Wind Has Risen', features the voices of Joseph Gordon-Levitt, Emily Blunt and Stanley Tucci in the English version. It is due for release in the UK on May 9th 2014. The Studio Ghibli director and artist will enter into retirement after his latest animated adventure. 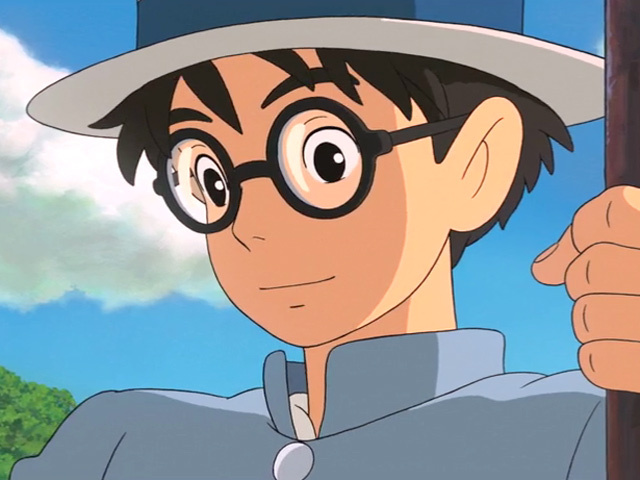 Hayao Miyazaki has officially confirmed that he will retire after the release of his upcoming swan song, The Wind Rises, after Studio Ghibli's president, Koju Hoshino, made the initial announcement at the Venice Film Festival on Sunday (1st September). Speaking at a screening of the movie, Hoshino said that Miyazaki would hold his own press conference to confirm the news because "He wants to say goodbye to all of you." In a Tokyo press conference, broadcast live across the world, Mr, Miyazaki himself announced his retirement from filmmaking. He spoke of how films, such as his previous Ponyo, had begun to take increasingly longer to make "because of his age," reports Den of Geek. "[The next film] might take seven years, which means if I did another film, I'd be 80. I feel my days of feature films are done. If I say I want to [carry on], it would be like an old man saying something foolish," he added to the solemn room. 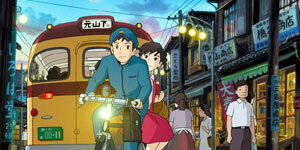 The Japanese animation extraordinaire has announced he will go into retirement after his latest film. Hayao Miyazaki, anime director and animator, will soon retire from filmmaking it was announced at the premiere of his latest and last film, The Wind Rises, at the Venice Film Festival. Koju Hoshino, president of Miyazaki's production company, Studio Ghibli, made the announcement at the premiere of the studio's competition title and refused to answer any more questions about Mr. Miyazaki's retirement, according to Deadline. The 72 year-old anime artist and director, famed for his works on films such as Princess Mononoke, Laputa: Castle In The Sky, and My Neighbour Totoro, won an Oscar for Best Animated Feature in 2001 for Spirited Away and was nominated for the same category in 2004 for Howl's Moving Castle. Hayao Miyazaki will no longer be making awe-inspiring films or challenging the conventions of standard animation, as it has been announced that the great animator is due to retire following the release of his latest film. The news was announced by Koji Hoshino, head of Studio Ghibli, following the airing of the new film; The Wind Rises, at the Venice Film Festival, with no other details coming with the announcement. Miyazaki, 72, began his career in animation in the 1960's, going on to co-found the influential Studio Ghibli; the studio responsibly for some of the most acclaimed animated movies of the past few decades. The studio really began to achieve notoriety in the 1980's with the release of 1988's My Neighbour Totoro, achieving wide-spread recognition again in the 2000's with the release of the Oscar-winning Spirited Away and Howl's Moving Castle. 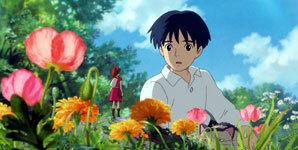 One of Studio Ghibli's strangest productions has to be this, Whisper of the Heart. Not because of any crazy morphing creatures -- though the film has a few of those -- but because of its subject matter. Here's a movie about teen romance, set largely in a library. There are no rakish adventurers, no ghosts, no forest creatures. Just a boy and a girl and only one magical cat to speak of. The film is generally charming, though its love story is strange to the point of inaccesibility: A girl who writes alternate lyrics to "Take Me Home, Country Roads"? Whoa, now that's weird. Despite Disney's many sins and failures, it looks like someone there finally got his act together. In a generous deal with Anime auteur Hayao Miyazaki and Japan's Tokuma Publishing, Disney will oversee the worldwide release of nearly all of Miyazaki's films in their original form, without a single frame cut. The decision to do this is specious -- based as it is on the success of Miyazaki's Oscar-nominated Spirited Away, and in anticipation of the American distribution of his new film Howl's Moving Castle - but let's take what we can get. The films will be parsed out on double-disc DVD sets over the next few years, and in addition, Disney is releasing most of them to the festival circuit. You can expect many to be playing in your local art-house theatre, better late than never. First up: 1984's Nausicaä of the Valley of Wind - the story of the titular, unfortunately-named, mini-skirted princess, warrior, visionary, and insect-whisperer; with the power to tame the threatening, misunderstood arthropods that live at the edge of the remaining human outposts in a Japanese-speaking post-apocalyptic world. You'll be pleased to know the film unfolds just as breathlessly. Bizarre events unfold with an easy inevitability in the world of Spirited Away, director Hayao Miyazaki's latest anime opus. Miyazaki's heroine Chihiro is a modern-day Alice, trying to make sense of a fantastic and threatening looking glass world. But Spirited Away shares the soul of Willy Wonka and the Chocolate Factory, if the chocolate factory was replaced by a giant spa for stressed out ghosts. Like Charlie in Wonka's factory, Chihiro spends two hours navigating a byzantine bathhouse, transcending danger and chaos with innocent courage and naïve common sense. Spirited Away's imagination, visual brilliance, and humanity make this trip one of the most satisfying film experiences of the year. Spirited Away begins with the young Chihiro reluctantly accompanying her family as they explore a deserted amusement park. The girl's parents are seduced by a feast set up in one of the park's food stands and eventually turn into pigs. At sunset Chihiro is transported into an alternate phantom universe filled with lumbering radish men, the shrill and controlling witch Yubaba (voiced by Suzanne Pleshette in her finest performance since Oh God, Book II), and a trio of bouncing, disembodied heads. Looking for a way to free her parents and find a way home keeps Chihiro exploring this world long enough to uncover enough strange and amazing creatures to keep us glued to the screen for the duration.